About three years ago, my friend and colleague Judy McGehee LMFT (Partners in Recovery) began a supervision program for Marriage and Family Therapist interns (people that have completed their coursework for Masters degrees) and trainees (those who are about to complete Masters degree coursework). Borne solely out of a desire to be helpful, and pass on the ability to provide effective human service, for fun and for free, Judy took on supervising 8 or so trainees and interns. We were joined also by a visiting therapist, Ted Aaseland, Psy.D. A little over two years ago I joined her in this endeavor, as I care deeply about passing on how to do “The Work”. Over the course of those years, those interns provided services to the Glendora School District and elsewhere to children and adolescents for free. Some of these turned into outpatient clients, individuals and families, also for free. There were also public speaking engagements for adults and adolescents, professionals and non-professionals. After all was said and done, over 7400 hours of free therapy (not including the speaking/community education efforts) were provided, all for free. Interestingly and tragically, there are several stories that run in parallel with this one. Before I get there though, it would be instructive to tell you a little about this process, both from the perspective of the licensed folk/interns/trainees, and from the folk we hope we were helpful to. Will start with the experience of the trainees/interns/licensed folk. Most universities require several hundred hours of internship/clinical experience for graduation. The processing of these hours is supervised by a licensed therapist (who can be a supervisor, as regulated by the Board of Behavioral Sciences), and the student must pay for this process. Most universities, in an uncomfortable wrenching of common sense, either don’t have someone to organize/and or set up/maintain these supervision placements, or they’re simply not updated for various reasons. The student/trainee however, is still required to do this. To add insult to injury, the trainee when in supervision, if they can find an agency, is rarely given a real experience of being supervised at their work. It seems flabbergasting to consider this, yet it’s tragically true. Similarly, interns (therapists just out of school) have to complete over 3000 hours of work with patients/clients, just to sit for the two licensing exams. They have six years to complete this process, requiring continuing education to reset their chance to sit for the exams. That means that they have to see clients, and that those hours also have to be supervised. Related to both this issue and Judy’s (Ted’s, and mine) efforts, we were completely unable to get other clinicians to volunteer for either of these processes (for trainees or interns)- not even a couple of hours a month, let alone the minimal 2-4 hours a week. In light of the complaints of most people we know not feeling like they received quality supervision, this is no small issue. The second body of material that is really important here is the students and families. There were of course the predictable experiences with clients who struggled with behavioral problems, substance use/addiction, depression, stress, bullying, pregnancy, self esteem, eating disorders, anxiety and the like. 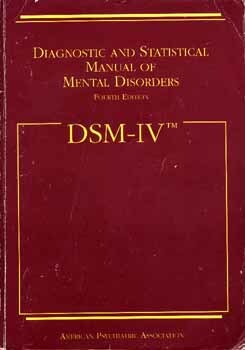 It was also really common to have active suicidality, reports of abuse, the precursors of “thought disorders” (schizophrenia, and the like), violence, abandonment, PTSD, mood disorders (bipolar disorder and related problems) and more. There was psychoeducation, crisis intervention, abuse reporting, ensuring of safety, documentation, creation and use of materials, referrals to resources, interfacing with administrators/Department of Children and Family Services/other clinicians/teachers/families and more, interviewing, showing up for IEP/planning meetings and more, and oh yeah… individual and family therapy. The interns (and will give a little credit to us as well) braved all of these issues and more. All for free. Seven thousand, four hundred hours of it, and the attendant signing off of supervision hours. We met weekly for all this time, as individuals and as a group, to meet the requirements for the relevant university, and for the Board of Behavioral Sciences. We met in between to take care of paperwork. To problem-solve. To handle questions. We met for lunches, at each others’ homes, in restaurants, in parking lots. We celebrated birthdays, mourned losses, processed issues, checked one anothers’ heads. There was a lot of happiness, crying, efforts to glean resource support to continue the work, discovery. There’s certainly more to be said, and obviously, more work to be done. Though this cycle of supervision is over, we still have a lot of passion and ideas for what might be next. The whole point of writing this though, is simply to honor the work of Michael Cardenas, Eryka Gayoso, Elva Cortez, Jessica Wilson, Jeffrey Craig, Melissa Lamoureux MS, Ted Aaselund Psy.D, and most of all, Judy McGehee LMFT. Thanks so much for making all this matter, and letting me participate.